Cramer-Krasselt’s CCO Marshall Ross releases the first book in his debut sci-fi series. Cramer-Krasselt’s long-time CCO Marshall Ross has helmed the creation of some very iconic advertising. From leading the creative team that developed Corona Extra’s now ubiquitous “Find Your Beach” to ushering in a new perspective for Porsche by helping new drivers see the brand’s “Every Day Magic,” Ross has always been a storyteller. After 20+ years in the advertising industry, he’s telling a different story. Very different. In fact, it’s a little out of this world. Or, perhaps, under it. 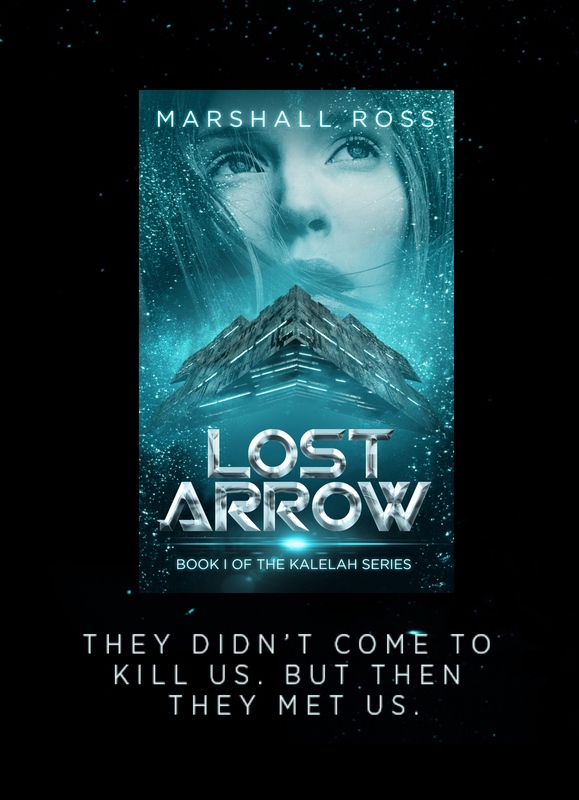 About three years ago, Ross began his sci-fi author journey when he began penning the story contained in his newly released debut novel, Lost Arrow (Publicnoise Press) which is the first of three installments from The Kalelah Series. Lost Arrow begins with Sarah Long, a young geologist aboard the ship Lewis, scanning the Mariana Trench in the western Pacific Ocean. She discovers something buried deep underwater that is more than she – or anyone – could have imagined. The discovery calls into question the origin of humanity and brings peril to the surface with it. The ensuing action forces characters to dogmatically take sides in a war sparked by stubborn, fanatical belief. The book could be described as a sci-fi polemic on the dangers of dogma. In fact, it’s the current day dogmatic environment that inspired Ross to write Lost Arrow. Ross juggled Lost Arrow writing between his duties as CCO at C-K and, ironically enough, half his story that features the deepest depths of the ocean was written at 35,000 feet on flights to/from European client meetings. You can order Lost Arrow on Amazon now and can learn more about the other two books in the series on The Kalelah Series website.